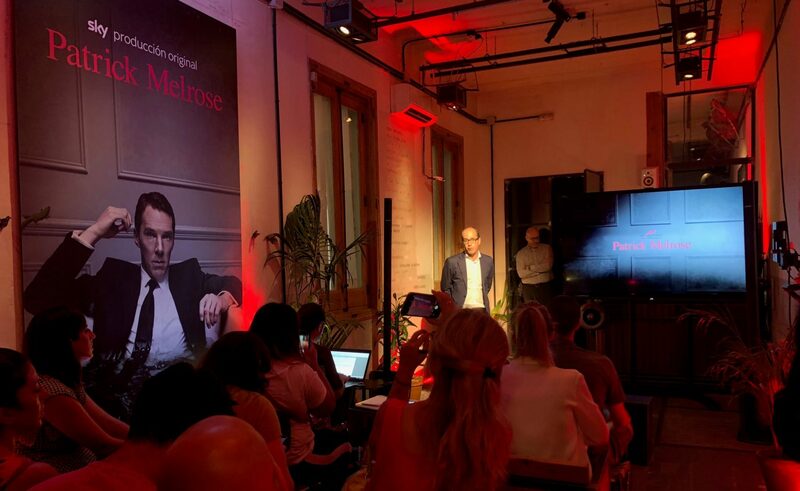 On the occasion of the premier of Sky’s original production, Patrick Melrose (starring Benedic Cumberbatch in the role of a schizoid narcissistic and alcoholic aristocrat), we proposed the creation of a fictitious foundation to Sky; the Fundación Patrick Melrose (Patrick Melrose Foundation). The Foundation is a space dedicated to the treatment of addiction to televisión shows, an issue of great social importance as shown in the results of a recent study we conducted which reflected that 70% of Spaniards consider themselves addicted to TV shows. 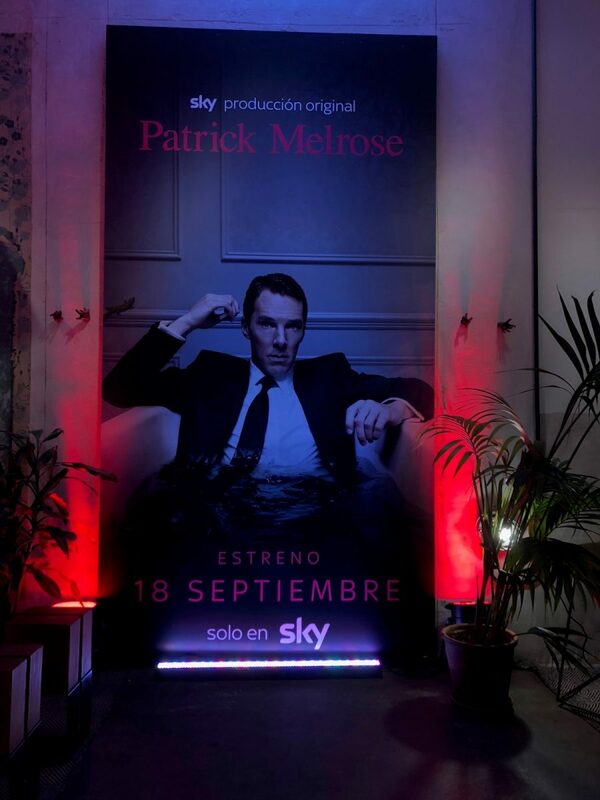 The Patrick Melrose Foundation and the study of TV show addiction in Spain were announced at an event held in Madrid this past 15th and 16th of September, and culminated with a presentation to the media the next day, a day before the premier of the show on Sky, on the 18th of September. More than 1,200 “TV show addicts” went to the event where they could measure their level of addiction, call their “series camel” to ask for a “dose of free content”, confess their worst hooks, or replicate the iconic cover of the new series, starring Benedict Cumberbatch, with a photo in an old bathtub. Also, from the day of the launch, the entire campaign was enhanced with dozens of video pieces with material from the series, underlining the addictive character and schizoid personality of the protagonist.